Bob Green, was a onetime radio DJ who married pop Miss Oklahoma and orange juice spokesman Anita Bryant and managed her career and then followed her into anti-gay activism, which ultimately destroyed their careers — and marriage in 1980. For more than 30 years Green lived alone full of hate and resentment blaming gays for all of his problems. Green was found dead Jan. 26 at his home in Miami Beach. He was 80. The following year, she told a woman’s magazine that the marriage “was never much good to begin with” and hinted that both had been unfaithful. No one should ever celebrate the death of another but in Bob Greene’s case (and the eventual upcoming of Anita Bryants) its a very hard thing not to do. You reap what you sow. 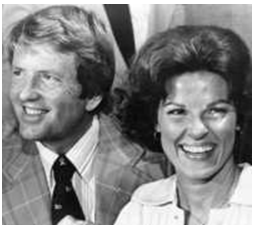 Anita Bryant and Bob Green sowed hate. They lost their fortune, their OJ gig, and their marriage. And Greene died alone, bitter and filled with hate. Take note Tony Perkins, Bryan J. Fischer, and Maggie Gallagher this is what happens when people who are more concerned about how others should live than their own happiness are going to face this same bitter end. The MUST NOT Have Invitation of the 2012 GOP Convention – GOProud’s HomoCON Party! Add Mr. Frothy Mix to this. He has effectively destroyed his career after he loses the nomination. He will be finished.